You may be wondering, “How in the world am I going to get teams to sign up for my amazing outreaches?” Well wonder no more! We have tons of resources to teach you about marketing—from what it is to how to do it. Soon, you'll have more teams than you know what to do with! Download a huge pack of awesome Mission Adventures logos that you can use to promote your ministry! Just Can't Get Enough Marketing? Host a Mission Adventures Marketing Workshop at Your Base! There's a whole lot of back office work to make your Mission Adventures ministry hum along. Here are some key tools to help you do it right. How To Set Your Prices Use this amazing cost-analysis tool to make sure you set a fair price for your outreaches. This PDF goes over every line item in detail so you don't lose money on your ministry! We have tons of resources to help you create meaningful and strategic outreaches for your teams. 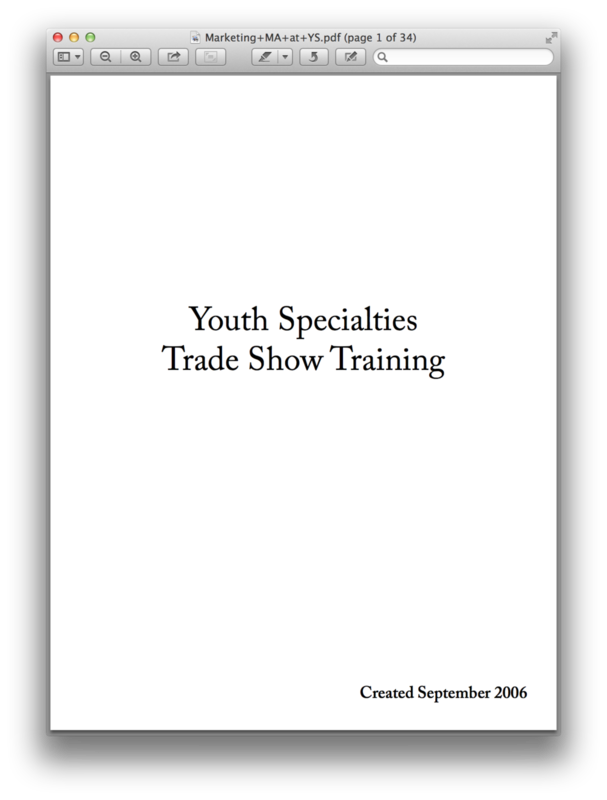 And we've got a ton more resources to help you create the right training to equip your teams to do those outreaches. I guess you could say this is where you find two tons of fun! The Blueprints This is it! 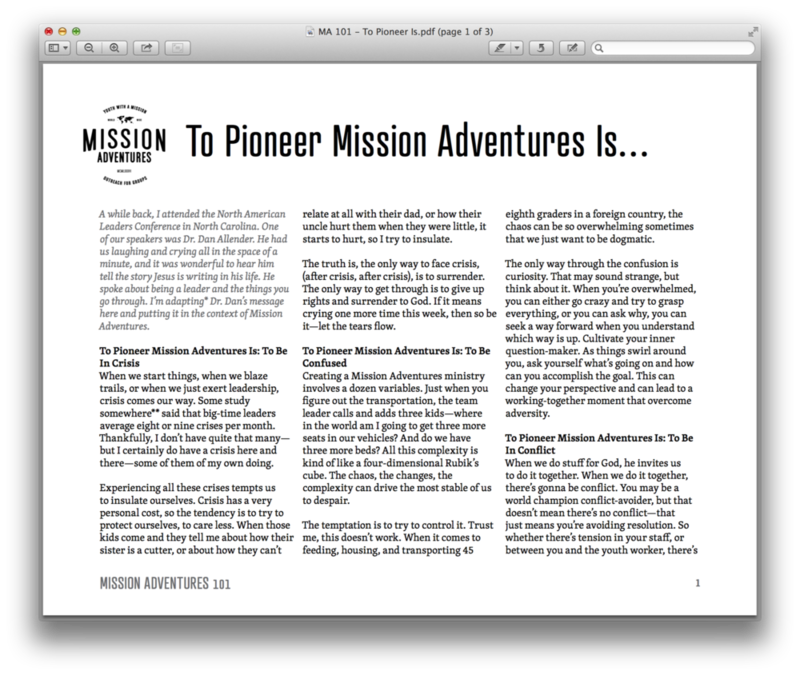 This 163 page PDF is the foundation of Mission Adventures. It's got more than you want to know about how to make your MA ministry amazing! How to Choose an Outreach Location This one pager PDF is a must read for every MA leader. To Pioneer Mission Adventures Is… The personal cost of pioneering can surprise us—this blog post can help. 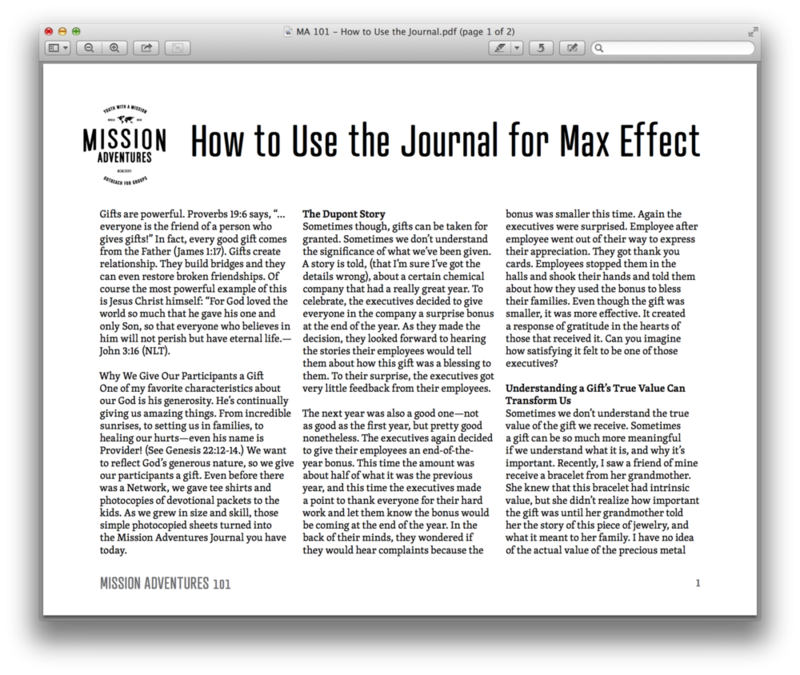 How to Use the Journal for Maximum Effect This quick two-pager gives some great advice for how you can help your students get the most out of the MA Gear. 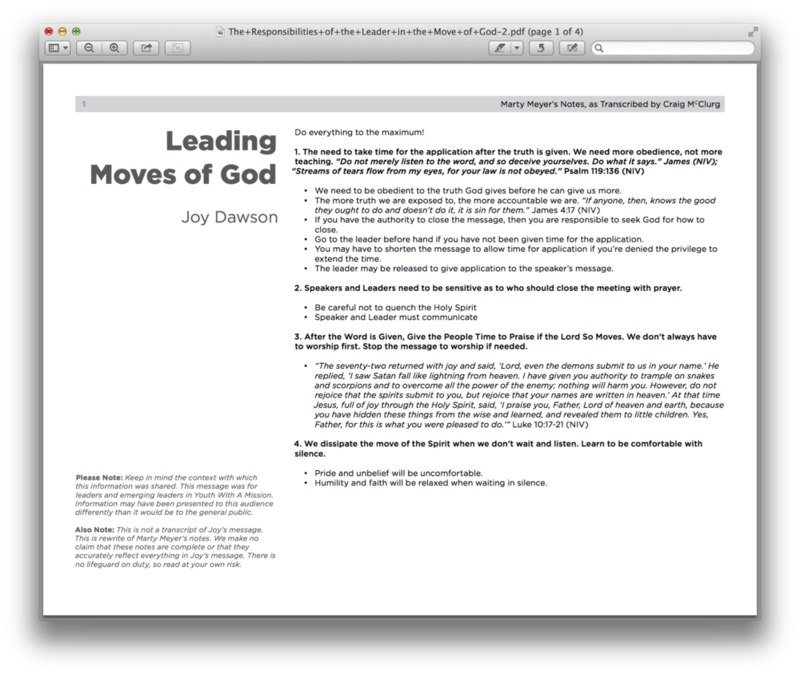 The full title of this amazing resource is The Responsibilities of the Leader in a Move of God. It's some notes from one of Joy Dawson's teachings. You need this. The MA Outcome Statement Here's the o-fish-ul presentation Craig uses to show YWAM leaders what this Mission Adventures things is all about!